At 20, Lyon striker Ada Hegerberg is sitting top of the UEFA Women's Champions League scoring table with 12 goals and now she is ready to realise her dream in Thursday's final against Wolfsburg, in Reggio Emilia. A beaten UEFA Women's EURO 2013 finalist with Norway against a Germany side featuring several current Wolfsburg players, Hegerberg has been in prolific form for Lyon this season, helping them to a domestic double and moving to within two goals of the UEFA Women’s Champions League record. She tells UEFA.com about the importance of this match to her and the club. UEFA.com: It will be your first UEFA Women's Champions League final. How do you feel about it? Ada Hegerberg: I've dreamt of playing a Champions League final since I was a little kid, so obviously I'm really excited. It's going to be a great final with two big teams. 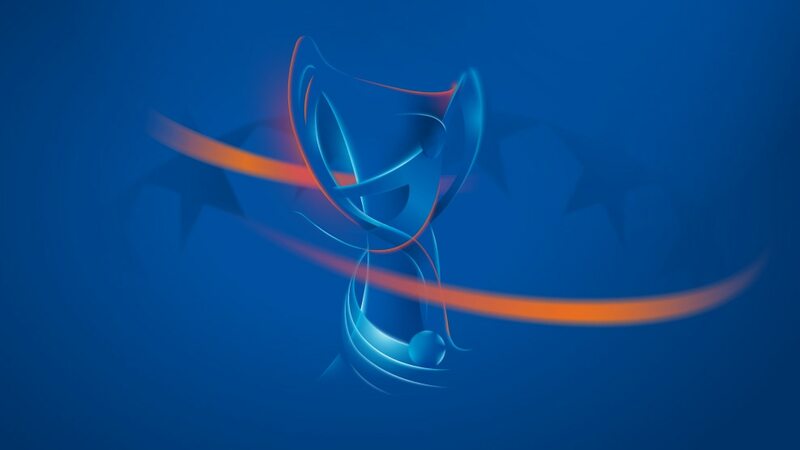 UEFA.com: What makes this competition so special? Hegerberg: I think the Champions League is maybe the biggest tournament, both for me and for the team. You're up against the best teams in Europe, and it's the tournament you want to win. And with all the players we have, all the ambitions this club has, I think it's time to bring the Champions League trophy back to Lyon. UEFA.com: Talk us through the first leg of the semi-final, beating Paris Saint-Germain 7-0 in front of the biggest-ever competition crowd outside the final? Hegerberg: I think we gave a performance no one was expecting in that match, 7-0, I think it was one of the best games we've played as a team. You might say it's a high score for a semi-final, but we played a tremendous game. And with 22,000 in the Parc OL it was a tremendous day. UEFA.com: This season you have been in outstanding form individually, scoring many goals. What is behind your recent success? Hegerberg: It's a lot of work. Personally I've been working on the small details since I was very young. I think that what takes you a long way is hard work and commitment, doing your best every day, working on the little things, and I think my own season so far is the result of that. UEFA.com: Does it help to be playing with so many established regulars? And how special is it to be in a side with creators like Camille Abily and Louisa Necib? Hegerberg: Yes, I've developed a lot since I came to Lyon two years ago. Coming here with all these world-class players has really pushed me. I think it's easy to say that a club like Olympique Lyonnais can just go and get a title, but there's so much hard work behind it, every day in training, mentally and physically. I really appreciate being part of this team and I hope we can push each other and bring the cup back home. UEFA.com: Do the more experienced players who played the final in 2013 talk about taking revenge? Hegerberg: I think first of all it's going to be a great final. I think it's maybe the two best teams in Europe at the moment. And of course losing a Champions League final makes you want revenge in some way. But I don't think the focus is on avenging the loss against Wolfsburg, but rather on winning the final, that's the main focus. Maybe some of the girls will have that extra attention on them, but we will be focused on ourselves. UEFA.com: Will your experience of playing in the UEFA Women's EURO 2013 final help you? Hegerberg: I think I've had a lot of good experiences so far, with the crowd, great games, a great stadium. We had the World Cup, which was a great experience, we played in Parc des Princes, Parc OL which gave me a lot of good memories. Good moments; and I think the final is going to be another one in the collection. UEFA.com: What would it mean to you to lift this trophy? Hegerberg: Of course you dream about it. I've dreamt about it every day; every day when I train I think about lifting the Champions League trophy, there's no doubt about it. There's such a big motivation behind it, so lifting it would be a great thing, personally and for the club. But there's still a long way to go, you have to win the game first, the final, and there's 90 minutes of a tough, tough game ahead. But I think we're capable of doing it. Less than a year after leaving Lyon for Wolfsburg, Lara Dickenmann and Élise Bussaglia will face their old club in Thursday's final – they are certainly ready for the showdown.